Nagalapuram is a village in Chittoor district of the Indian state of Andhra Pradesh. It is the mandal headquarters of Nagalapuram mandal. This town is home to Vedanarayana Temple, where the presiding deity Vishnu is in the form of Matsya, the first incarnation of Dasavatara. Nagalapuram the temple town is built at the time of Krishnadevaraya of Vijayanagara Empire regime in memory of his mother Nagala Devi. Hence, it became Sri Nagalapuram. 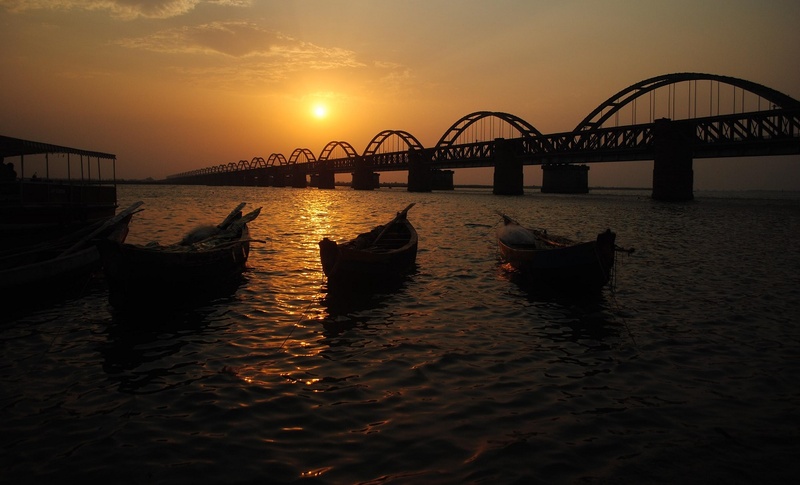 Before the change of its name to Nagalapuram, this village was known as Harigandapuram. Temple reflects the vijayanagara architectural style Vedanarayana swamy idol facing west. The sanctum sanctorium has Vedanarayana swamy with his consorts sridevi and Bhoodevi on either side. This is a Matsya Avatar of Lord Vishnu first Avatar, who saved the four vedas from Somakudu and returned to Brahma. Temple brahmostavam comes on Shukla Dwadasi, Trayodasi and Chaturdasi of Phalguni masam (Telugu calendar). Temple architecture is done in such a way that during these three days, the sun rays fall on the main deity feet, navel and fore head, called as "Suriya Pooja". This remarks the start of Summer season as per the holy inscriptions available in the temple. Nagalapuram Falls is a waterfall which attracts many tourists.